"A New York music executive in the 1970s hustles to make a career out of the city's diverse music scene." That's the description of Vinyl. With Martin Scorsese and Mick Jagger on board as co-creators, they had my curiosity, but with the HBO seal of approval, they had my attention. I had to see this. I watched all 10 episodes, quickly deeming it a low-rent Madmen wannabe, but the music and artist "cameos" kept me interested. After all, it's all about the music, and it's pretty cool seeing Alice Cooper, Joey Ramone, the New York Dolls, Led Zeppelin, David Bowie, the Velvet Underground, Buddy Holly, DJ Kool Herc and others. My biggest issue with Vinyl was the acting of Bobby Cannavale. His over-the-top performance of Richie Finestra was just too much, and often cringe-worthy. If he was supposed to be the Don Draper of Vinyl, Vinyl didn't stand much of a chance. Rumour has it Cannavale has been good in other projects, such as Boardwalk Empire, but since I've not yet seen Boardwalk Empire, I just know him as the guy in Woody Allen's Blue Jasmine. As I recall, I didn't like him in that, either. 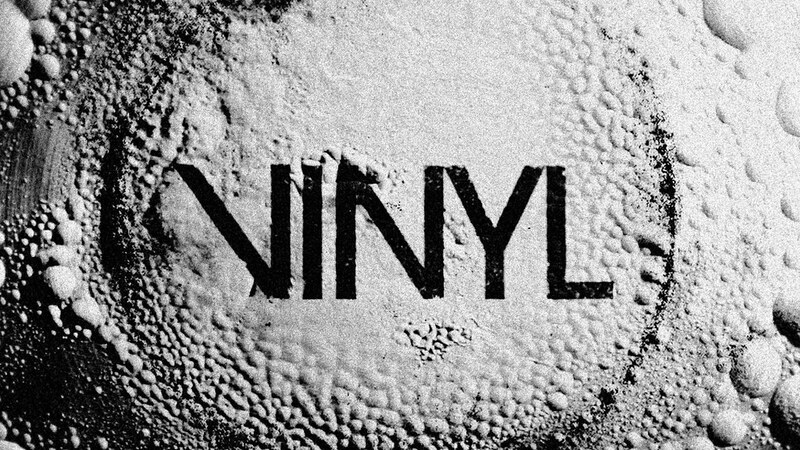 Vinyl has been cancelled, and it deserved to be cancelled. It's a shame, though. With better writing and acting, this could have been a great deal of fun. Bobby was decent enough in the first two seasons of Third Watch (NBC from 1999-2005). He left because he was wanting a bigger part in the show, so they killed him off rather violently. I thought VInyl was OK & had potential to evolve. Sad they didn't give it a bit more time. This Lester scene did make me smile. this series had to much hype. some episodes were good, some were just scratch your head though.. I'm looking forward to the new series Roadies...hope its better then Vinyl was. Bobby Cannavale has been good in every supporting role I've seen him in. I completely disagree. Love Vinyl, and I think Cannavale's performance is spot on. Keeping it in context, remember that much of his over the top acting is just a reflection of the character, as he's most often coke'd up or constantly drinking or over indulging in some way, and those types of record execs existed. In fact, in a couple of the episodes he's on the wagon, and as a result his delivery of the character changes quite a bit. I must admit though, I do genuinely like this guy as an actor so perhaps I'm a bit biased. He was fantastic as a sociopath gangster in Boardwalk, which is the only other thing I've seen him in. Maybe they'll spin it into a feature or something, because it looks, feels and sounds like a Scorcese film, which is always fun to watch. I liked it too and half of the $10,000,000 per episode cost must have gone to buying music rights. One major mistake was the murder subplot that went nowhere. And there were some really horrible "cameos" ie. John Lennon. But man you could smell the cocaine through the TV, just you could smell the cocaine through Fleetwood Mac's "Tusk".